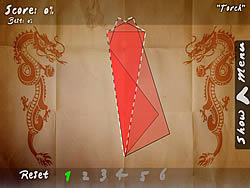 Folds Game - FunGames.com - Play fun free games. Folds is an awesome origami fun game you must have played! Fold the sheets until they match the given shapes.